The following guest post describes the horrendous situation that debt is causing people in the UK to get into and some of the severe personal consequences that are associated with this. Borrowing up to twice the amount of our western European counterparts, a report has found that up to 25 people every day in the UK are forced to seek divorce and relationship help due to unmanageable debt. Credit cards and other forms of unsecured lending totaled more than a third of all new non-mortgage borrowing in Europe – £216bn. According to new figures from the debt charity Consumer Credit Counseling Service (CCCS), over 9000 people who were counseled cited divorce or separation as one of the main causes of their debt problems – women outnumbered men two-to-one. Costing the UK an estimated £44bn every year, relationship breakdown is playing a huge part in our debts. The CCCs have revealed that divorce and separation ranks as the fourth biggest cause of debt among their clients. The top three causes are taken up by unemployment, reduced income and budgeting problems, and two thirds of people affected by these issues are women. 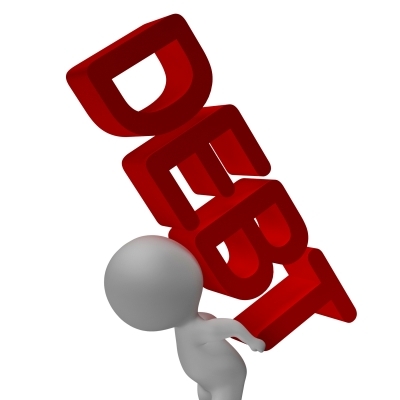 Those people who attributed their financial problems to separation and relationship breakdown owed an average unsecured debt of £17,000, only having £25 to put towards their repayments after meeting their basic living needs each month. This is compared to the average CCCS client that has a surplus of £40. Although the number of people becoming insolvent fell in the first three months in 2012, debt management charities continue to warn of the dangers of spiraling personal debt, stating that we’re only scratching the surface of the consequences of debt. During the first quarter of 2012, a total of 28,723 people were made insolvent. Although down by 4.7 per cent on the same period of last year, this figure only accounts for the number of people going bankrupt – the number of people entering other forms of insolvency actually increased. Debt advisors believe that these figures don’t account for people who can’t afford to go bankrupt, instead continuing to struggle with bills and monthly payments. The number of people entering into individual voluntary arrangements was up 8 per cent on the previous year, and the number of people who had applied for debt relief orders was up 16 per cent year on year. According to the credit rating agency Experian, there was a sharp rise in people seeking help and support for their debts, even though insolvencies fell as a whole. Places like St Albans saw one of the highest rises in insolvencies, with 31 per cent – 5 in 100 households – in serious debt. Households in Birmingham also saw a sharp rise to 20 per cent, while Skipton rose to 8 in every 100 houses. It’s believed that inflation, rising unemployment and governmental benefit changes will force more people into insolvency over the coming years, with the Consumer Credit Counseling Service claiming that over 6,000,000 houses are in financial danger. These figures don’t account for businesses going into insolvency, and thousands of people every year lose their jobs when their companies go into liquidation. This will also give rise to the amount of people seeking relationship advice because of their debt, and experts conclude that numbers won’t start evening out until the UK’s personal debt problem is under control.